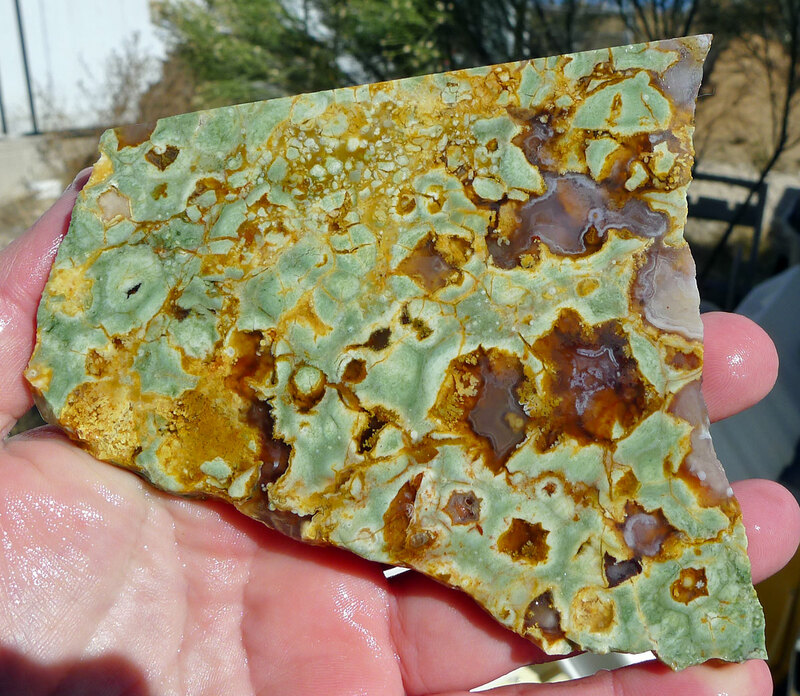 Rainforest Jasper Slab with Druzy for Lapidary Artists, Cabochon Makers or Natural Stone Slice Collectors - Beautiful patterned Agatised Rhyolite from Mt Hay Australia, this Rainforest Rhyolite slab features natural shades of green with agate and druzy pockets! 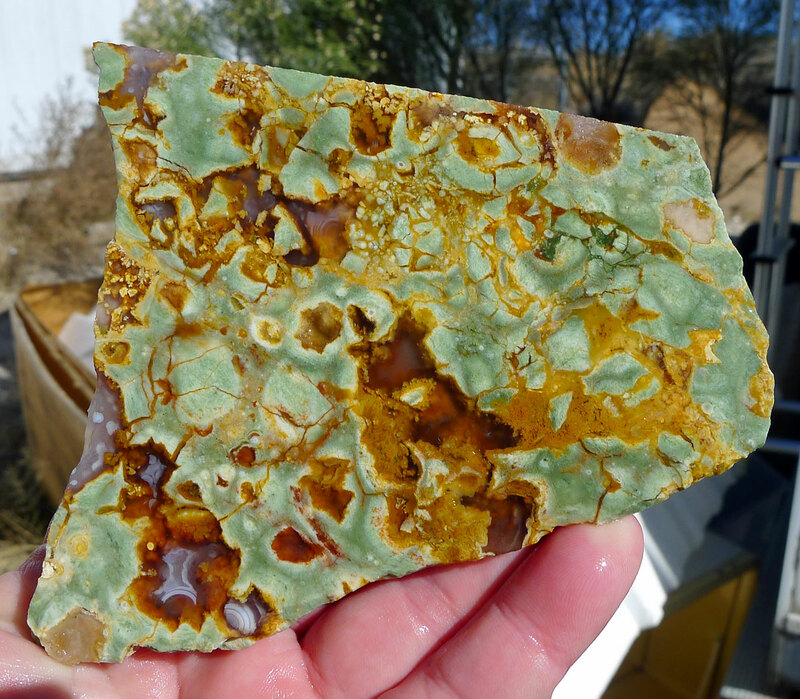 - With its naturally flowing colors and patterns, some lovely cabochons can be made. 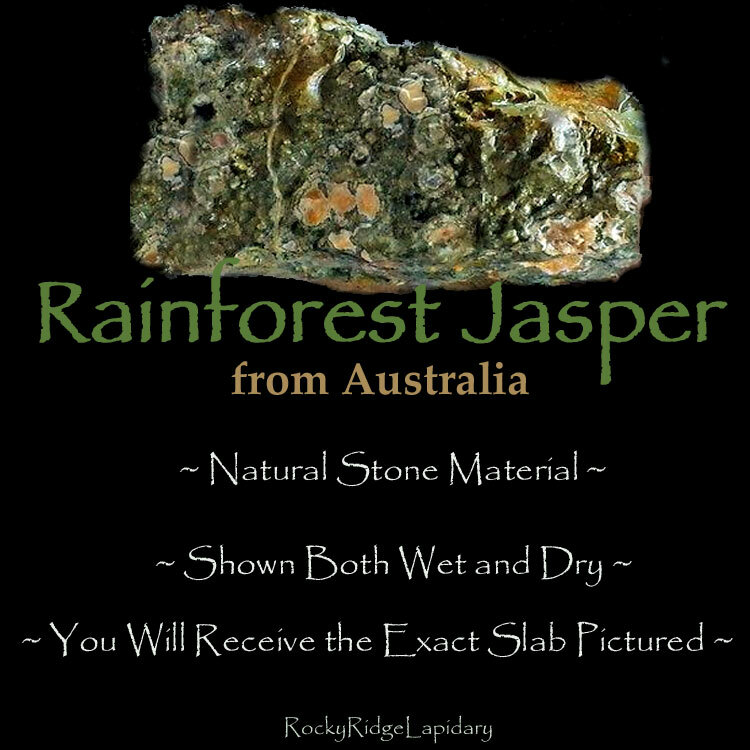 You will receive the EXACT Rainforest Jasper Slice pictured. Weight: 3.68 oz. - 104.33 gr. 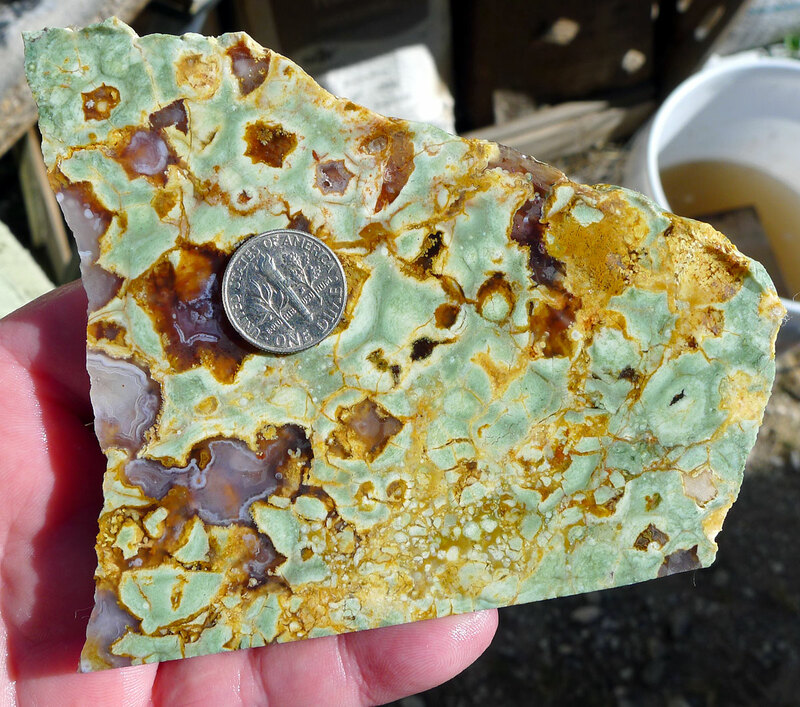 - 521.63 ct.
Rainforest Jasper (also called Spherulitic Rhyolite, Agatised Rhyolite and Green Rhyolite) is a rare type of rhyolitic lava, associated with volcanic activity in some areas. 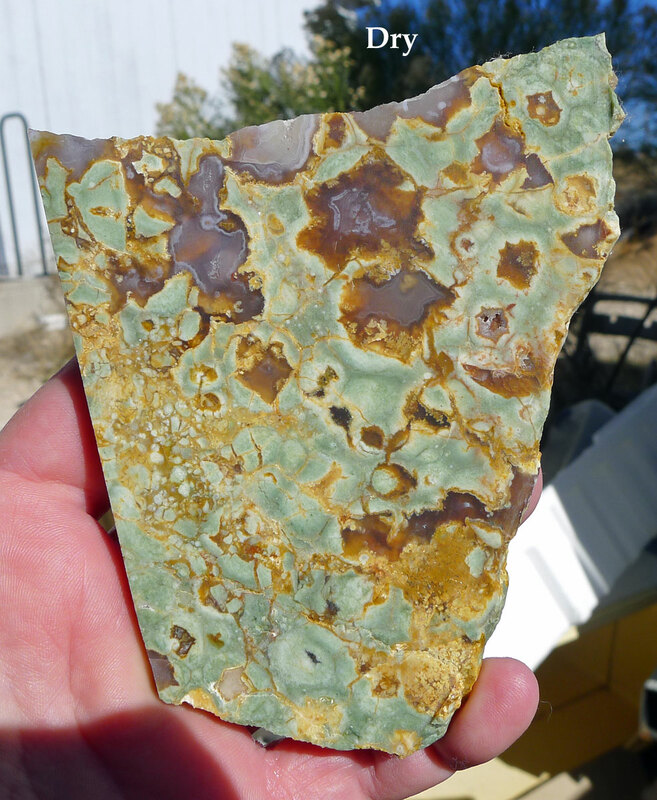 Gas bubbles are trapped in the lava flow during solidification, creating pockets which are later filled, or partially filled by flows of siliceous material, which may be Agate, Jasper, Quartz Crystal or other minerals. 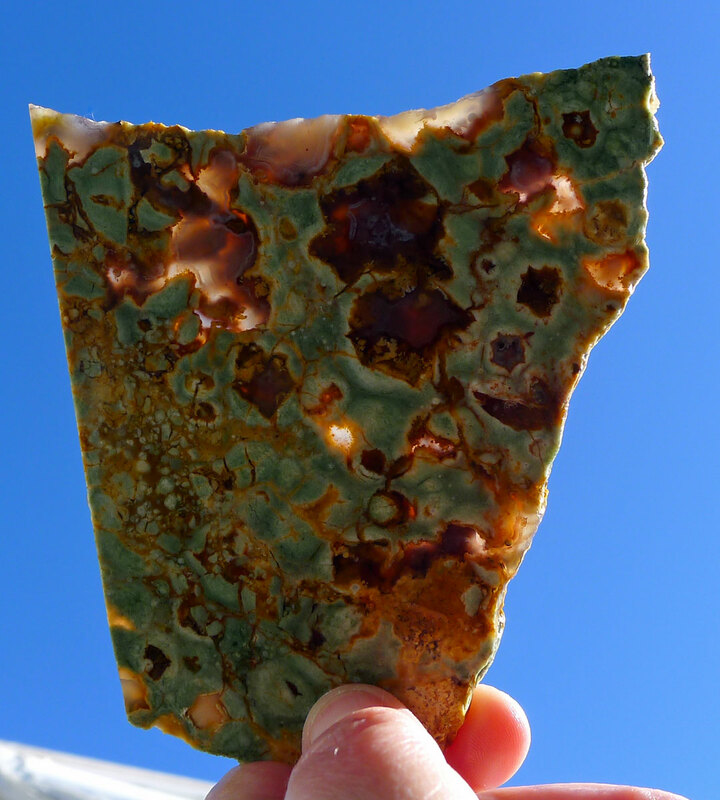 This one is filled with agate -- please see pics for translucent areas. 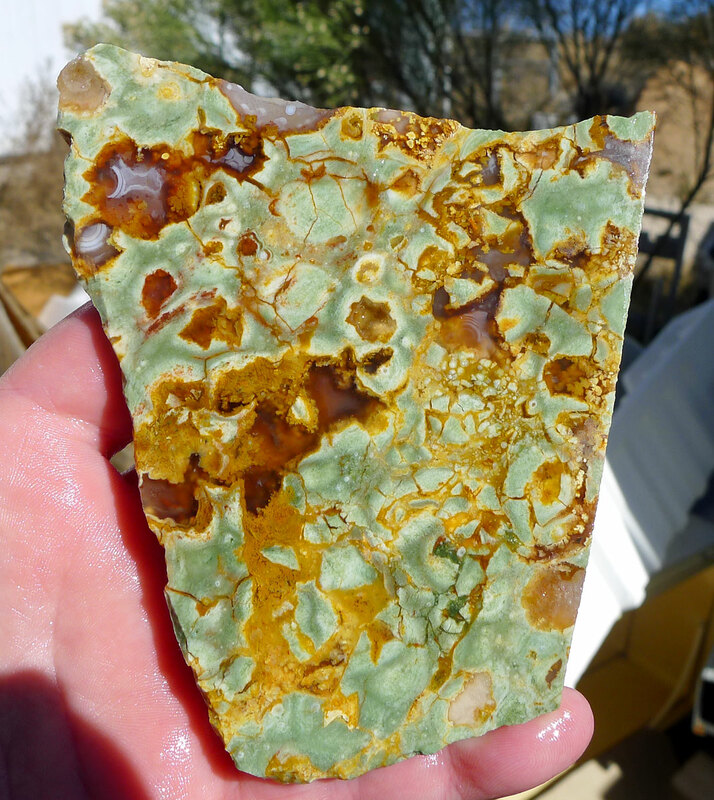 Metaphysically, Rainforest Jasper is used to give one a deeper connection with nature, plants, trees and animals, and Mother Earth herself. 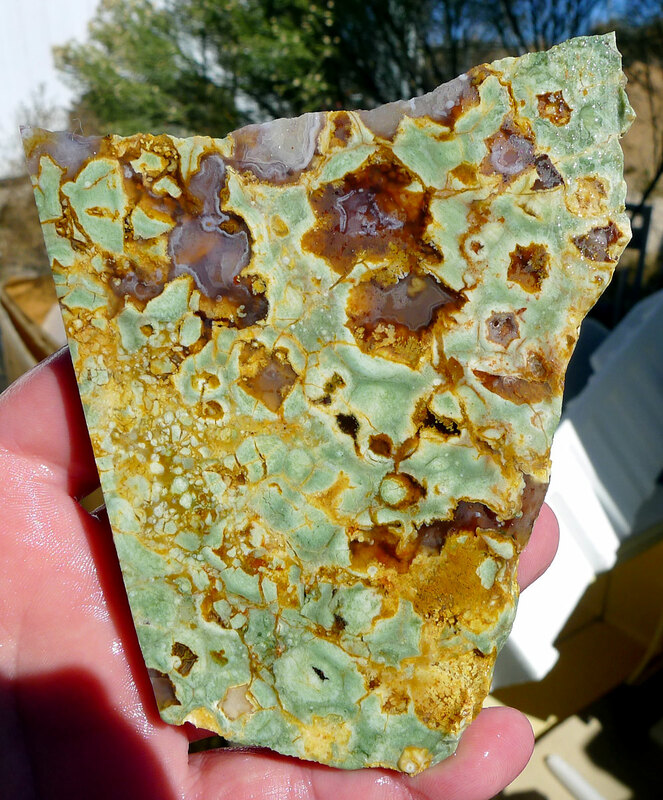 Rhyolite holds the energy of Change, Joy, Creativity, Insight, Strength, and Self-realization. It is a gemstone of Resolution -- Attracting that which you actually need, not what you think you need or want. 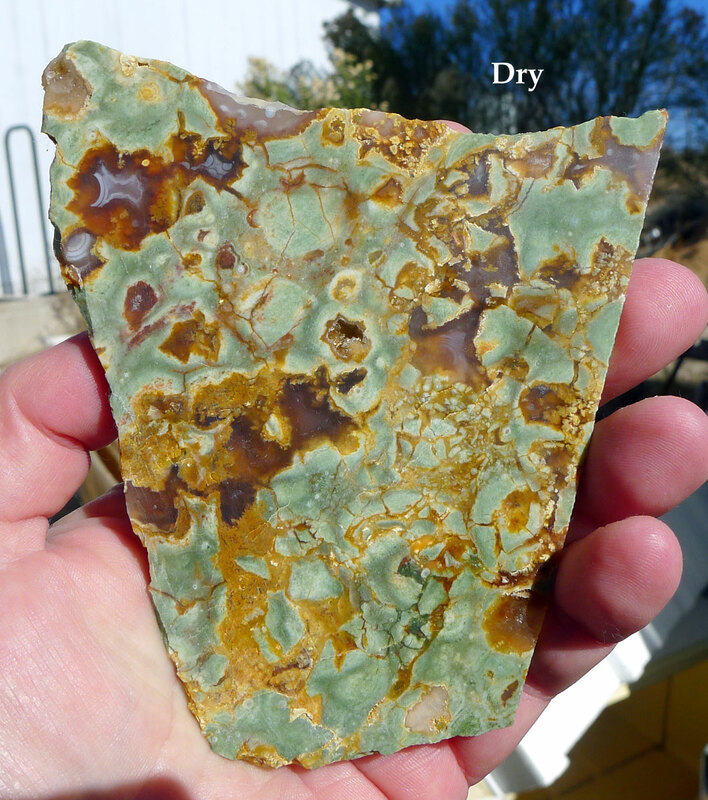 Rainforest Jasper can be used to invigorate or renew your emotional state. It brings hope and positive energy to alleviate depression or lethargy. An excellent stone for Meditation. Chakra : Heart.